Incredible views from this immaculately kept 29th floor NE facing condo located in the heart of the Magnificent Mile. 2 Units were combined to create this 2Bed + Den|3.1 Bath home. Unit Features Large Open Floor Plan with Huge Living/Dining room filled with natural light. Hardwood Floors, Custom Cabinetry, SS Appliances, Granite Countertops and in unit W/D. Master Suite features Large WIC, Dressing Area, and Updated Master Bath. 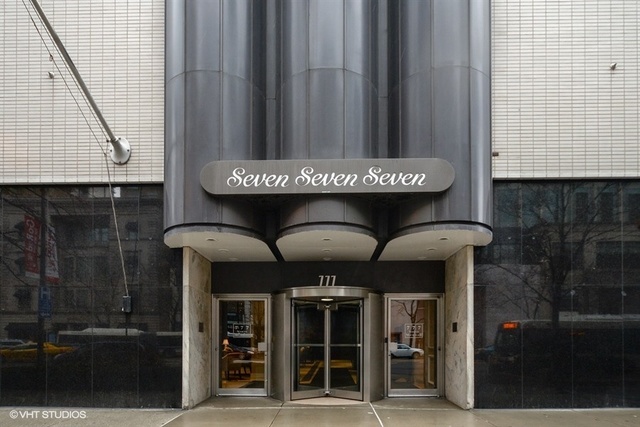 Full Amenity Building features: 24 HR Doorman; Exercise room overlooking Michigan Ave; updated common areas and one of Chicago's best rooftops - with deck, pool and cabanas. Heated indoor parking. Incredible value and a absolutely A+ location!Parking available for rent for $185/month. Property information last modified by seller on Wednesday, September 19, 2018, 12:18 PM CDT. Information Deemed Reliable But Not Guaranteed. Unauthorized duplication, use, or linkage is prohibited. The information on this web site is for personal, non-commercial use and may not be used for any purpose other than to identify prospective properties consumers may be interested in purchasing. Monthly Payment Calculator results are for illustrative purposes only, not a financing opportunity; calculations assume a 30-year fixed-rate mortgage and do not include closing and other costs. Property Tax on NEW properties is estimated at 1.5% of Listing Price for payment calculation purposes; actual value may be higher or lower.